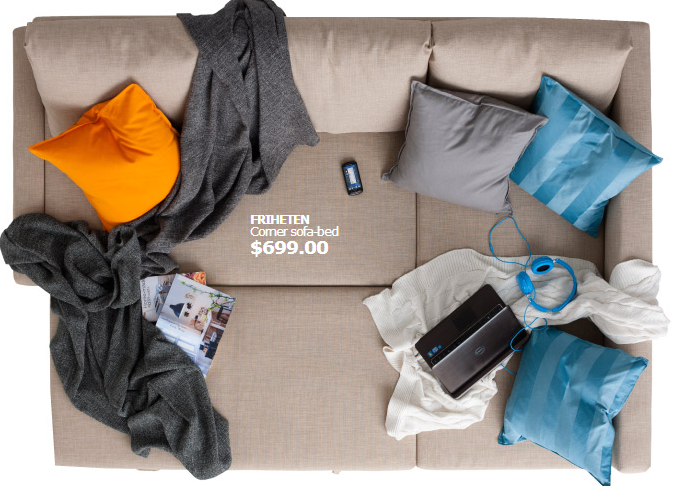 IKEA really knows how to reel me in! It’s not that hard, just send me a catalog, I’ll look through EVERY page, and write a mental shopping list! Yea, I’m fairly easy to please. Normally, you guys see the chic and stylish chairs that I love so much like this, this, and this but today, I’m in love with an ENTIRE sofa! 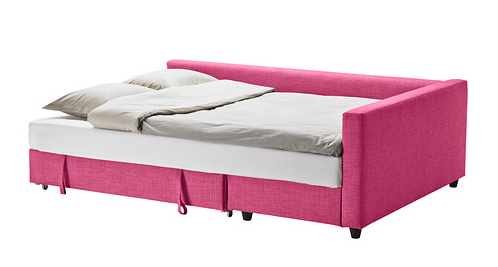 Of course it was the color that caught my eye first…it’s pink, that’s kind of a no-brainer! 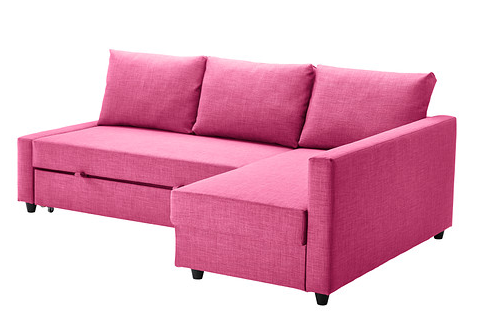 Then very very very shortly after spying fuschia, I saw the functionality of this sofa. 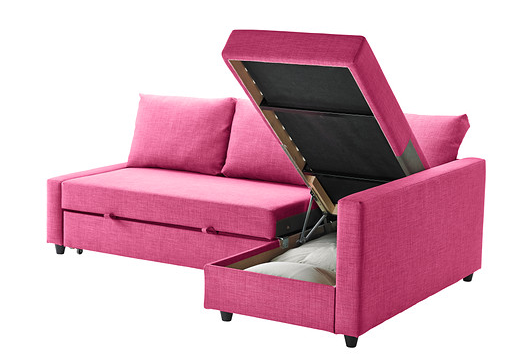 It’s a bed, storage area, and a couch…all-in-one! This made it absolutely irresistible! My next task will be heading down the road to the local IKEA to test the comfiness of this contraption (insert dramatic gasp, head shaking, sweating, and fist clinching.) If you’ve ever been inside an IKEA store, you know exactly what I mean. If you have yet to visit….I encourage you to bring: patience, a cell phone with emergency contacts, water, and comfortable shoes! Lastly, GRAB THE MAP at the entrance, seriously.